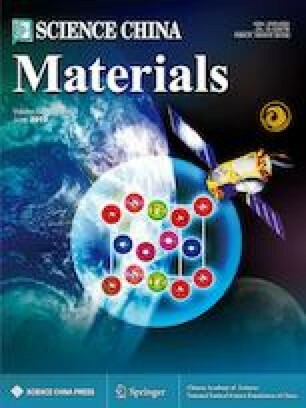 In this study, a yeast@ZIF-8 core–shell composite material was successfully synthesized under room temperature in aqueous solution. The ZIF-8 shell endowed the inner yeast cells with a considerably extended lifetime without any nutrients at 4°C. Compared with the bare yeast cells, most coated yeast cells were kept alive even when cultured in zymolyase solution for 3 h. Furthermore, the encapsulated yeast cells could be reactivated and regrown by dissolving the ZIF-8 shell with competitive coordination interactions. Chao Sun received his MSc degree in 2011 from Xinjiang University. Then he joined Tang’s group at Harbin Institute of Technology in 2012. He is now a PhD student and his research interest focuses on the synthesis and applications of porous materials. Lin Chang received her MSc degree in 2010 from Beijing University of Technology. Then she joined National Center for Nanoscience and Technology as an assistant engineer (2011–2014). Now she is an engineer and her research focuses on the synthesis and characterization of nanomaterials. Zhiyong Tang obtained his PhD degree from the Chinese Academy of Sciences in 2000 under the direction of Professor Erkang Wang. After finishing his postdoctoral training at the Swiss Federal Institute of Technology, Zurich, and the Universtiy of Michigan, he returned to China and took a professor position at the end of 2006. His main research interest is focused on the preparation, assembly and applications of functional inorganic nanomaterials. Supplementary material is available for this article at https://doi.org/10.1007/s40843-018-9384-8 and is accessible for authorized users. 在本文中, 沸石型金属有机框架材料ZIF-8在温和的条件下被成功包覆于活细胞酿酒酵母表面. ZIF-8壳层展示出对酿酒酵母细胞明显的保护作用. 与裸露酵母相比, 包覆酵母在4°C纯水中可以保持更长时间的代谢活性. 当包覆酵母和裸露酵母在酵母裂解酶存在的溶液中共同培养时, 包覆酵母仍然保持约80%的活性, 而裸露酵母则几乎全部死亡. 除此之外, 用EDTA将ZIF-8壳层溶解之后, 包覆的酵母仍然具有再生增殖能力, 且其生长曲线与裸露酵母类似. This work was supported by the National Key Basic Research Program of China (2014CB931801 and 2016YFA0200700), the National Natural Science Foundation of China (2189038, 21721002 and 21475029), Frontier Science Key Project of Chinese Academy of Sciences (QYZDJ-SSW-SLH038), and K. C. Wong Education Foundation.